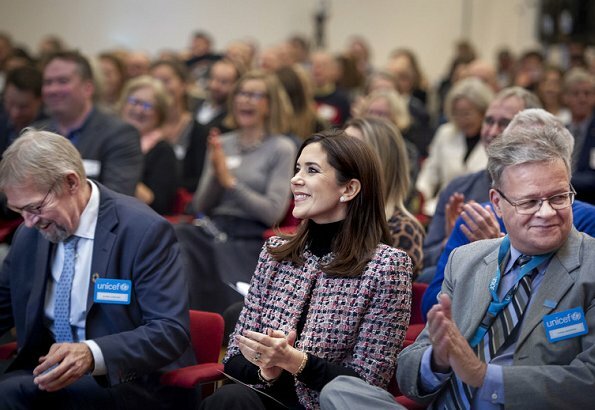 Crown Princess Mary attended 2018 Children's Day (Børnenes Dag) of UNICEF Denmark in Copenhagen UN City. 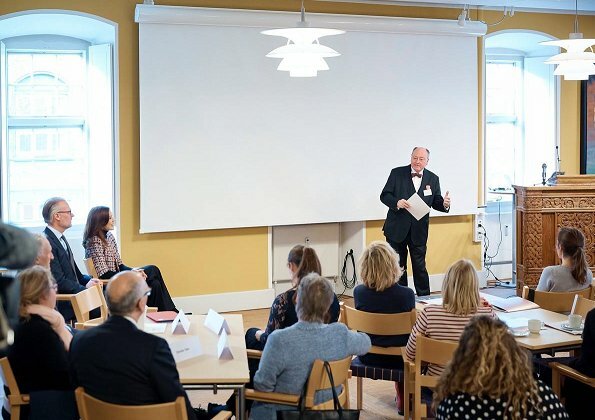 The Children's Day was firstly held on November 20, 2015 on the anniversary of United Nations Children Convention by Danish Child Rights organizations, Corporate partners and other UNICEF Denmark stakeholders and later, it became a tradition. On the Children's Day, problems of all children in the world are put on the agenda. The Crown Princess had one more programme in the morning. 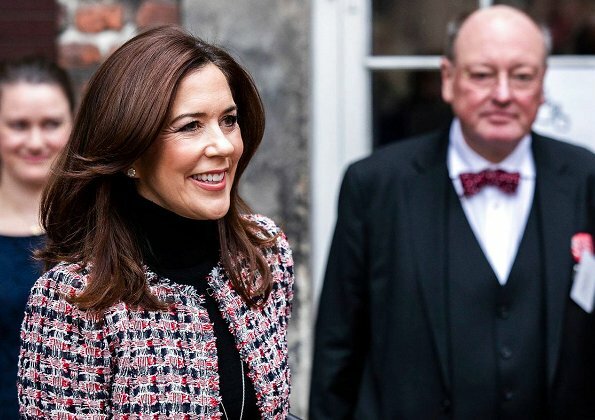 The Crown Princess received "Danish Speaker" prize for Frederik's 50' birthday speech. Classy and elegant as always! Mary is the perfect future Queen! I agree, always natural without hogging the limelight for herself. A safe choice,total black with a tweed blazer,that's very elegant! Seltsamer Hosenschnitt. Einfach nur schrecklich. Mary is usually so nicely dressed, but I do not care for this look. The black long sleeves sticking out from the 3/4 sleeve jacket is not chic and the wide leg trousers are just too big. Her makeup and hair look great! Lovely as always, like this little jacket. Now, that look is a mess. 70s style trousers that actually look like straight from the 70s (instead of current trousers with a retro touch). That jacket is way too short, especially in the back. And it seems to have two different patterns (front/sleeves vs back), and both look scruffy (rather than of nice tweed). And long sleeves sticking out from underneath a short-sleeve jacket? Never in my world. Short little jacket,long wide pants …… not a fan, but Mary is the one, who can wears it. Modern, fabulous look. She looks always classy but with some personal twist. Het is net of er alleen een broek staat, die brede broek, je ziet geen benen. Nice look on Mary ,the only thing I would have liked are long sleeves on the jacket.